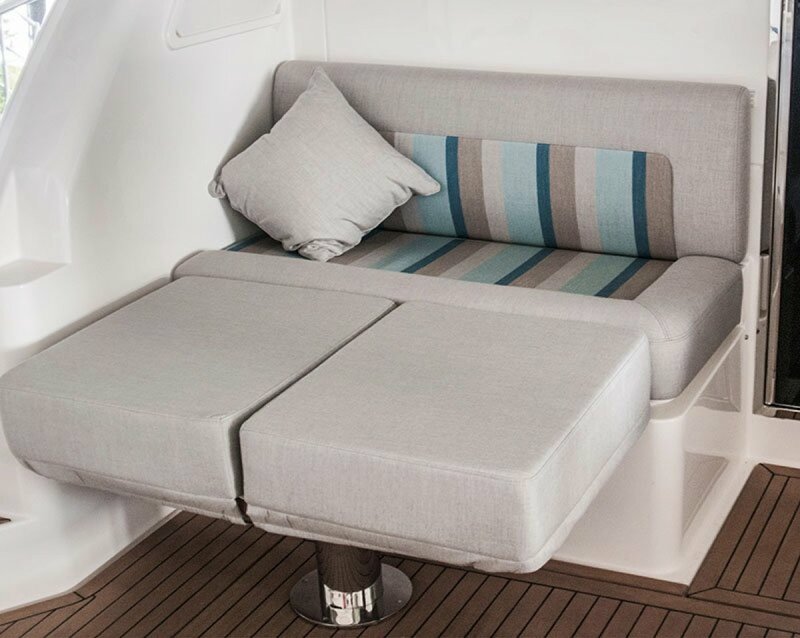 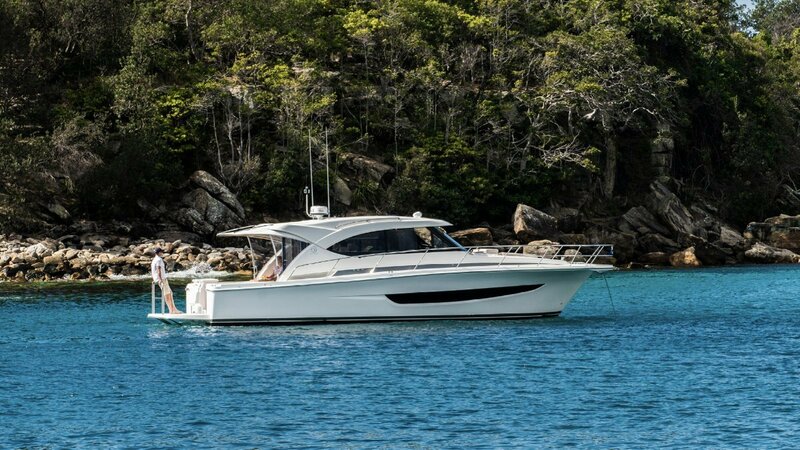 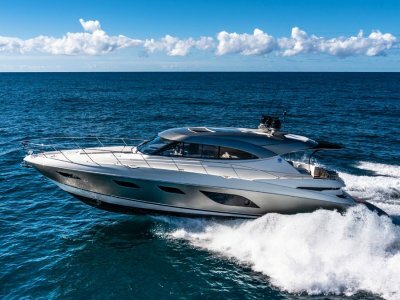 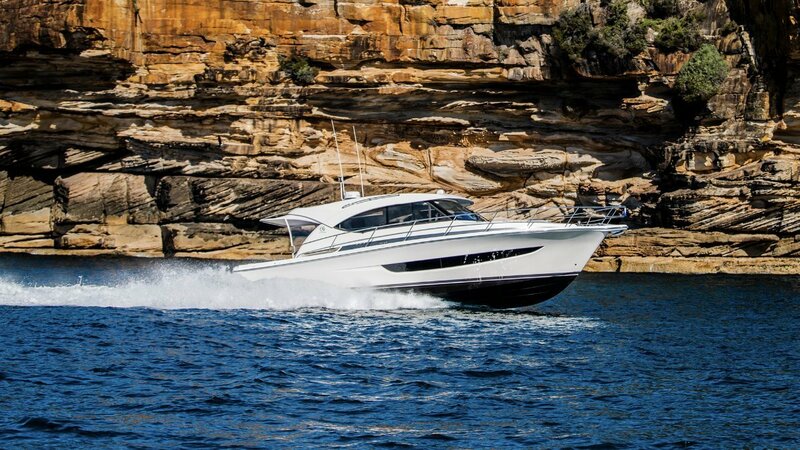 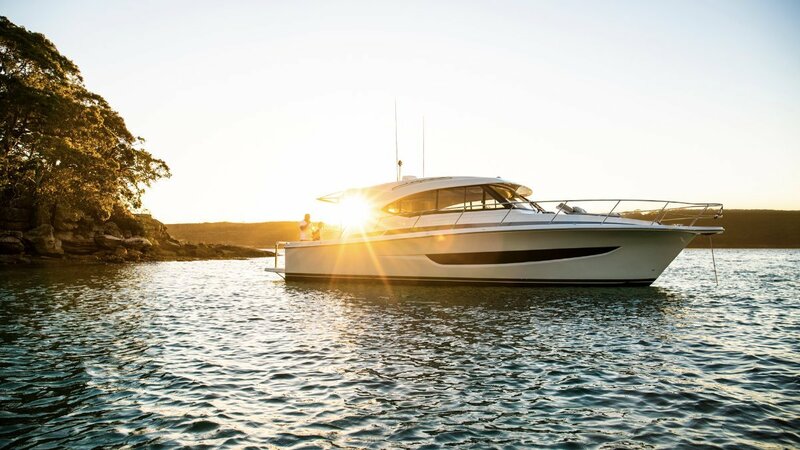 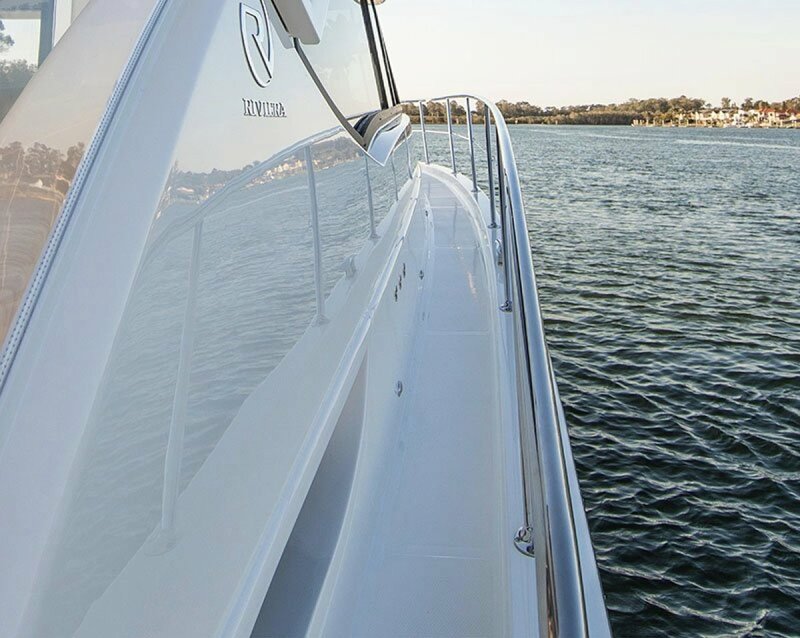 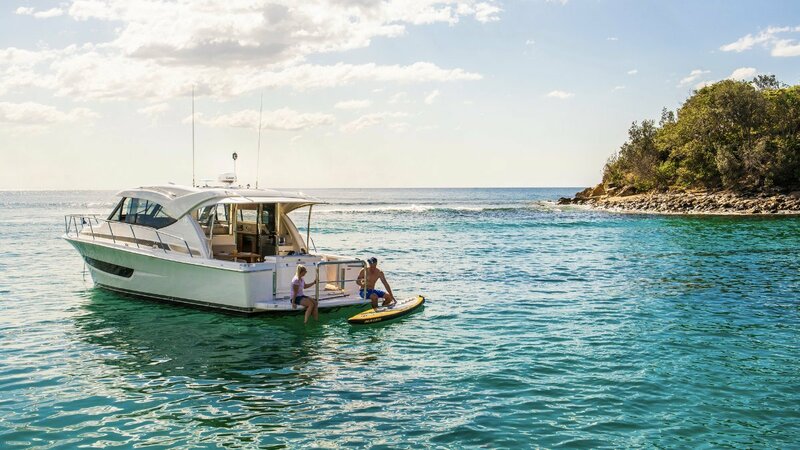 The Riviera 77's immense volume allows for a four cabin, four bathroom layout. 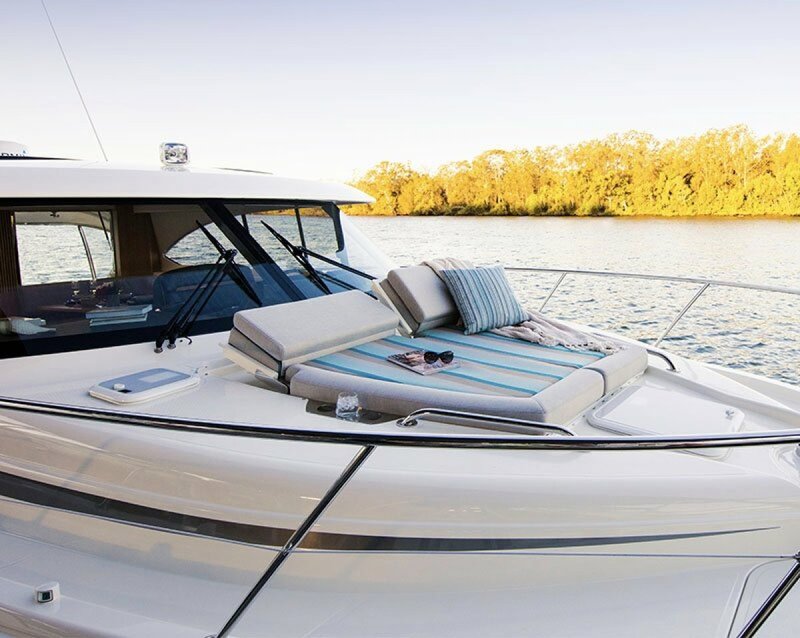 The master stateroom is king-size, the VIP stateroom forward is queen-size and the guest cabins, port and starboard, are twin-berth with a third pull-down Pullman-style berth. 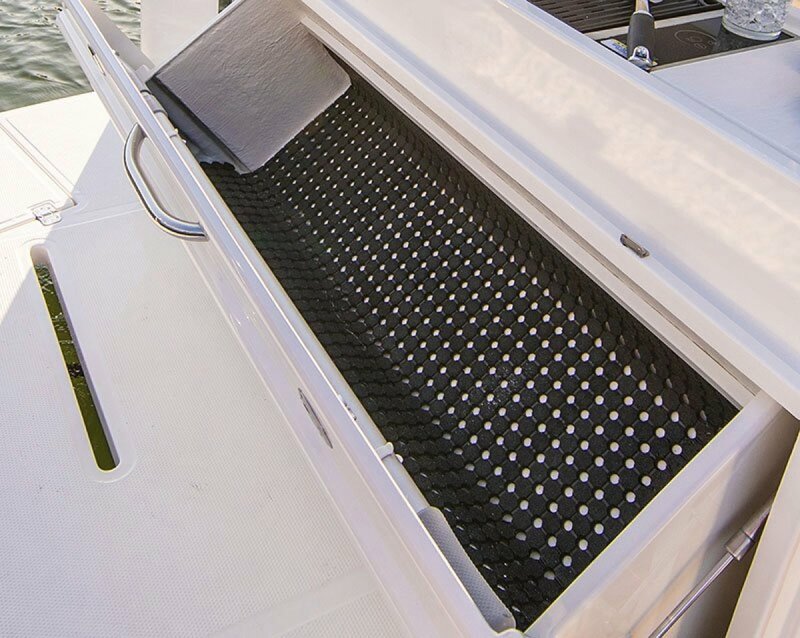 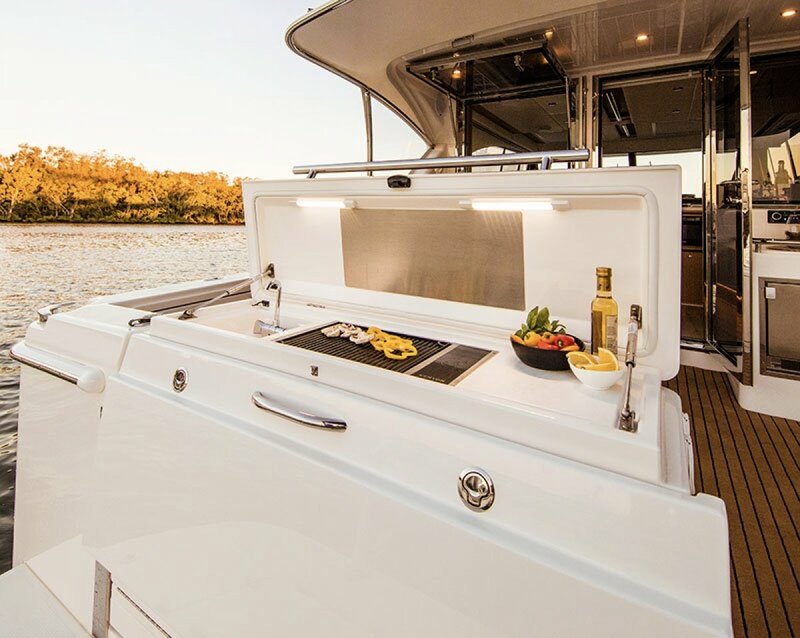 Rich textures, high-gloss finishes, subtle use of lighting and state-of-the-art technology deliver a special boating package. 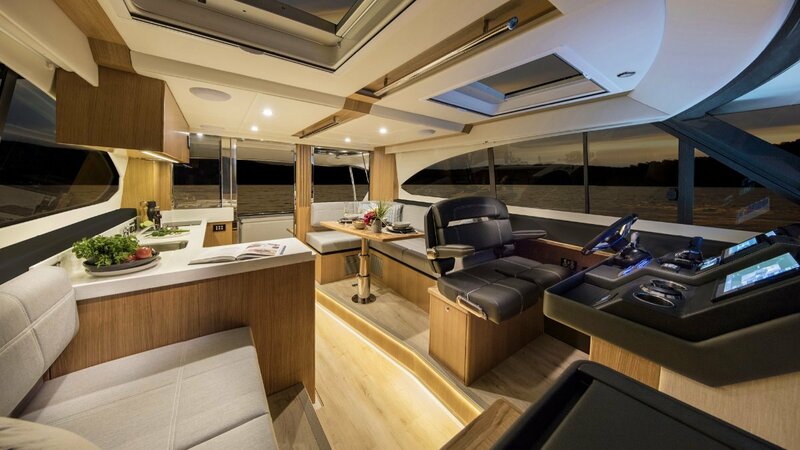 Appointments and usable space are aplenty, and of the highest quality. 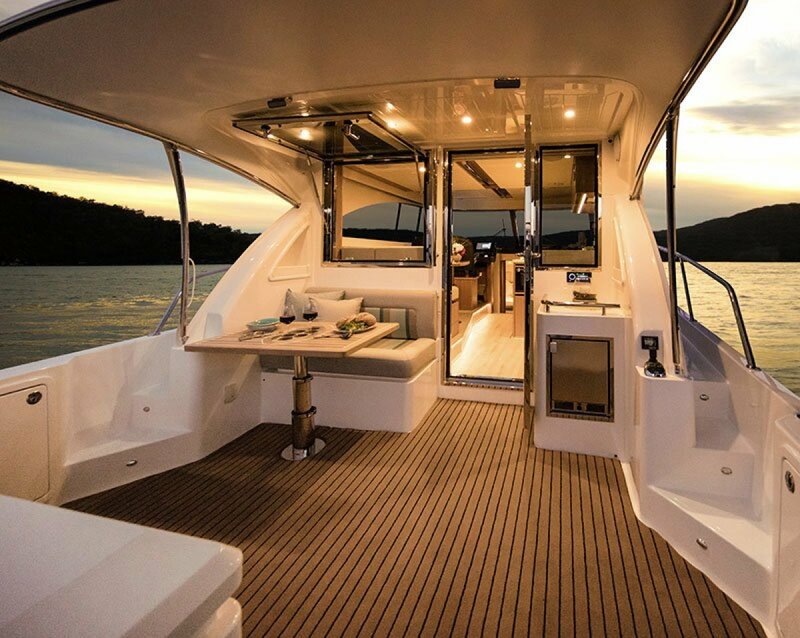 The view and the specification are sublime. 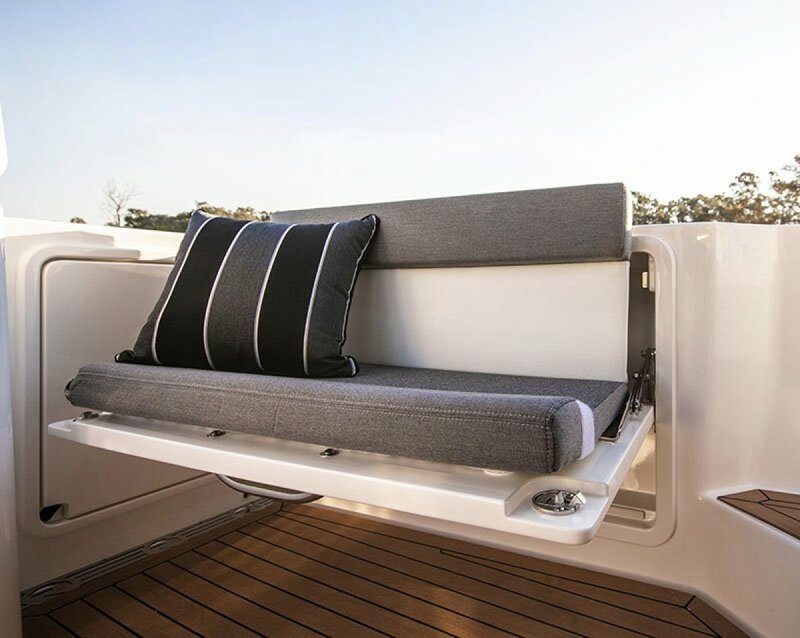 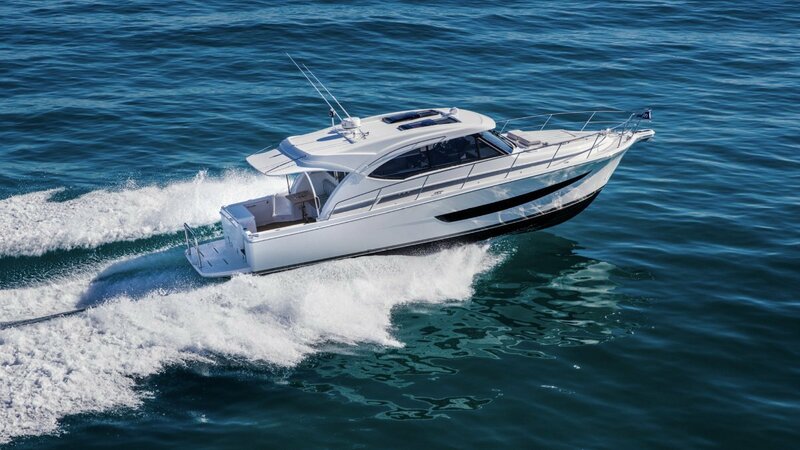 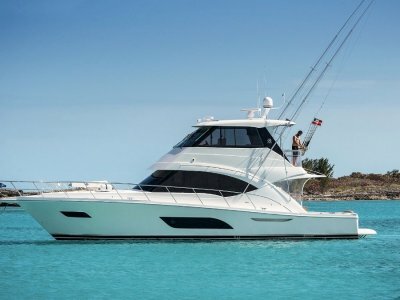 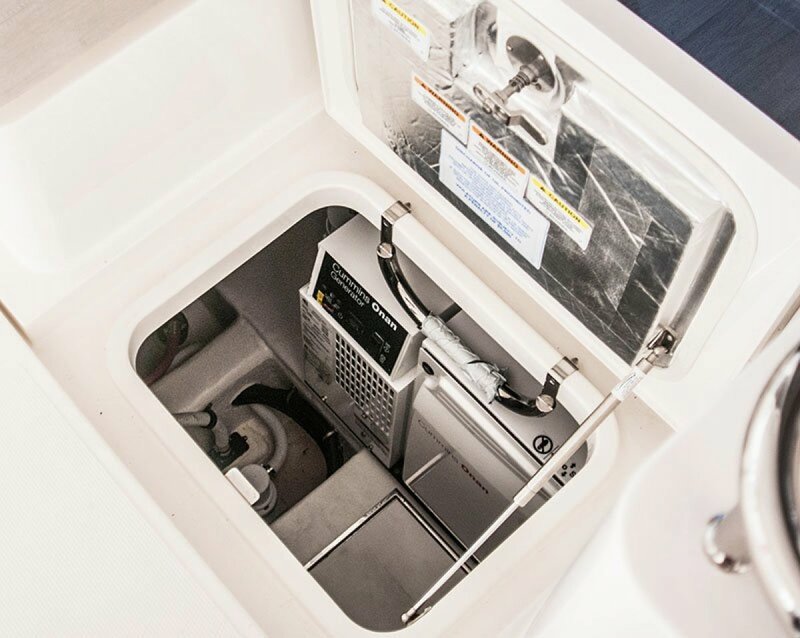 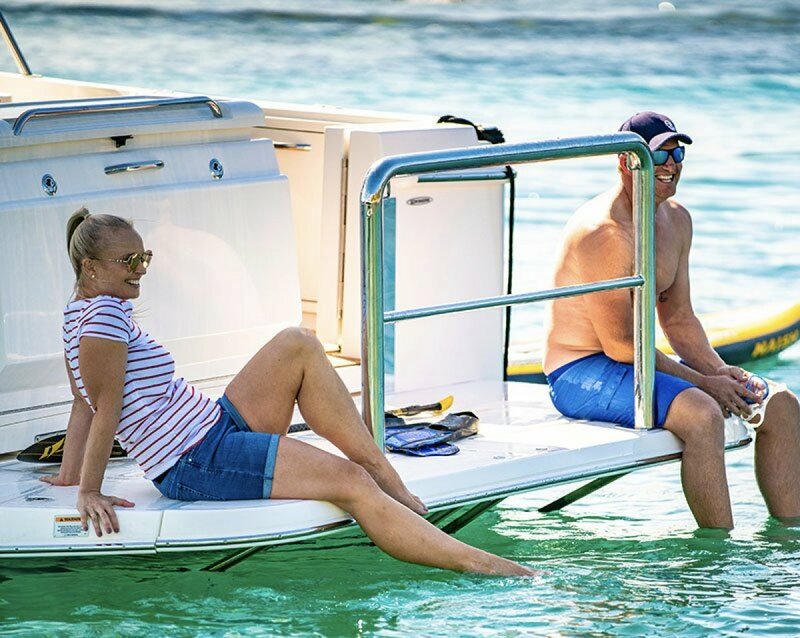 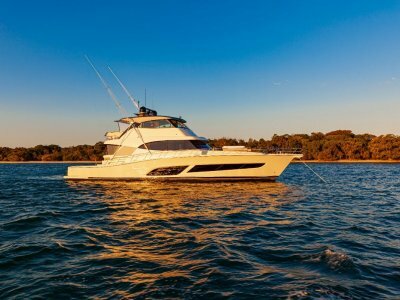 Features include forward helm, sun roof, air-conditioning, aft helm station, wet bar, Pompanette helm chairs, and inside and outside lounges. 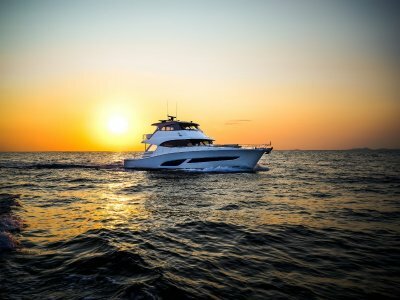 Whether you are a fishing enthusiast or a lover of cruising, the space and appointments will appeal. 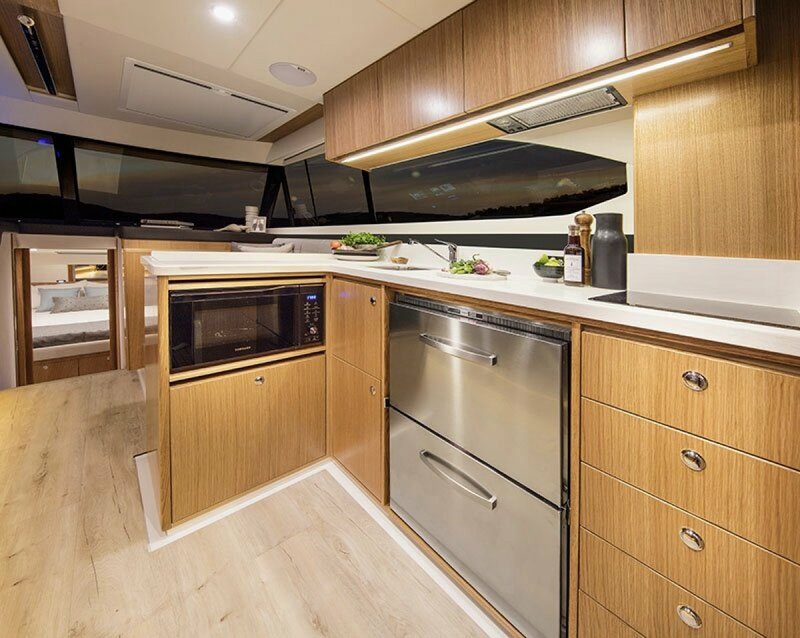 A luxurious lounge is on a mezzanine level, complemented by features such as rod storage locker, ice-box, eutectic freezer, sink, electric BBQ and copious storage provision. 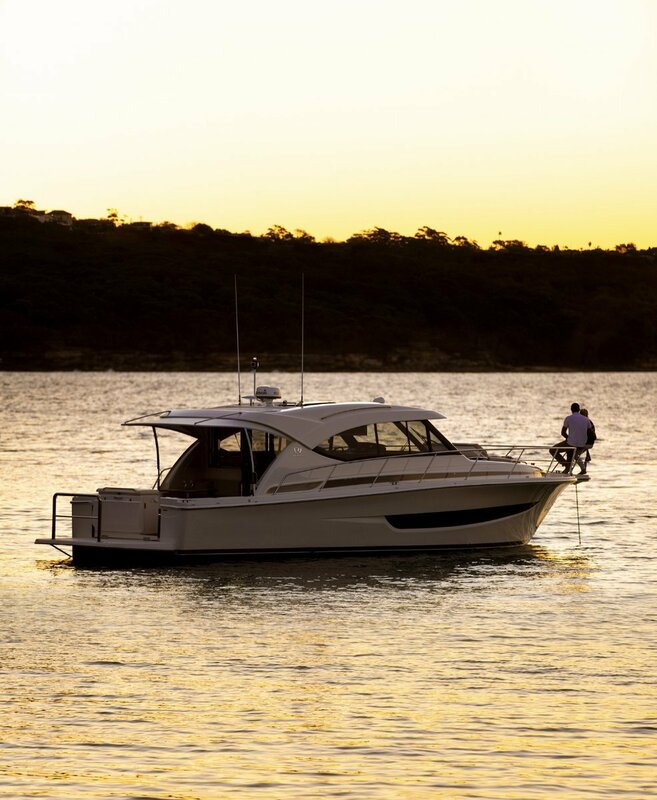 Standard power is a pair of 1,900hp (1,397kW) MAN 2862 LE476 turbo diesels that, with a fuel payload of 9,600 litres (2,536 US gal), give the Riviera 77 a huge cruising range. 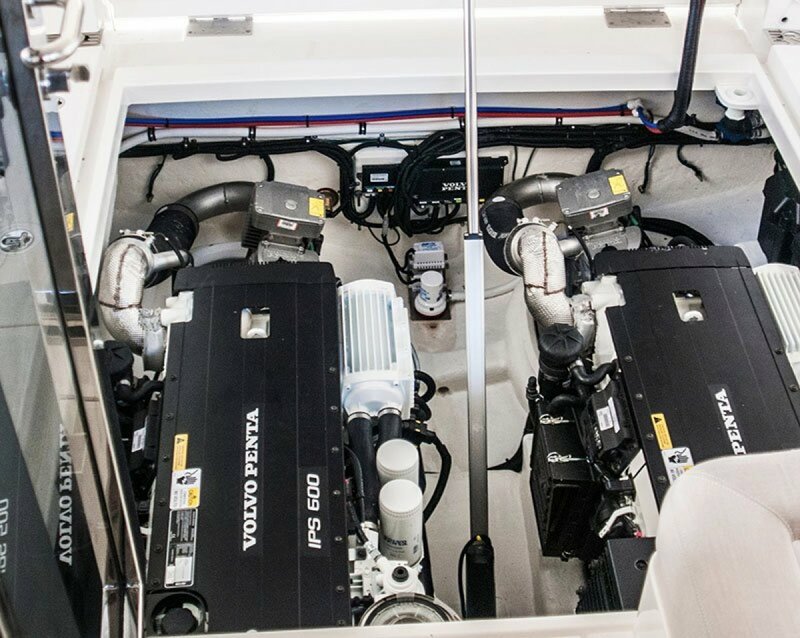 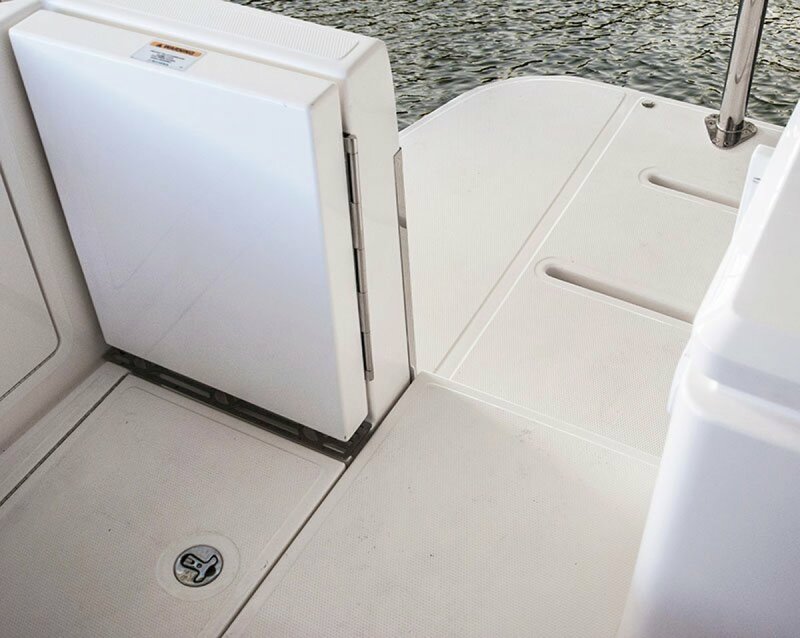 Big City Infrastructure Onboard systems are appropriate and include items such as 24-Volt system, two 22.5kVA generators, a 281lph water maker, bow and stern thrusters, two 70A/3kw battery charger/inverters, Muir VCR4500 winch and shore power.